Korean style clothing is not only popular in Asia, but just about everywhere. Their fashion, styles, and brands are greatly sought after in many countries. Even other styles and fashion have little aspects of Korean clothing in them. The Korean clothing style stands out from other styles and brands; hence, the extreme interest everywhere. A popular korean style clothing for men is called Dangoon. It offers all styles of clothing from; pants, shirts, jackets and more. Dangoon is currently one of the most popluar Korean style clothing for men. Deepstyle is another Korean style clothing for men. This brand offers all types of clothing to men. Aboki is another brand that has the same style and type as Deepstyle offers. Other famous Korean clothing brands for men are 3QR, BoynMen, Googims, Groove9, Jbros, Luvmaison, Mitoshop, Moscod, Mutnam, Newyorkhomme, Peeps, Portfranc, Slowbaba, Style Engine, and Style Yours. All of these keep the Korean Fashion looking better than ever and very desired. Naingirl is a Korean clothing style for women. It offers everything a girl would ever need in a wardrobe. It has a variety of light fitting clothing. Naingirl offers a comfortable style. Cocostar is another Korean style clothing for woman. Its style is a bit more formal, offering long skirts, blouses and coats. Izabel and Adela Shop are more popular brands in Korean style clothing. Celli Girl, Daily Pink, Dodostyle, Dorothy Pink, Holly Shoes, Miss Hong, Redopin, Style Berry, and Style Mentor. These all have an awesome effect on the style and create the desired Korean fashion. In today’s world, fashion is a must and is on a quick and high demand. Luckily, brand names and fashions have made it easy to achieve that high demand in the comfort of our own home. Since we do not have have the opportunity to run to these Korean brand name stores, they’ve given us the chance to access online. Korean style clothing is everywhere online, and its easy! At the touch of a button everyone can have the Korean style clothing online experience! There are a variety of online stores. Such stores include; Yesstyle, which gives free international shipping to larger orders, and K-styleme and Styleismine that are just for women with the same free international shipping opportunities! Milanoo is an online US and Korean style store that offers an affordable fashion. There are online stores primarily for Korean accessories. 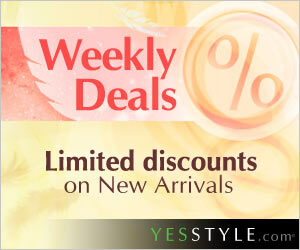 These online stores include Weloveprettystuff and Yesasia. Online shopping has become quite popular as the variety of brand names and fashion spread immensely. This sought after fashion is at easy access. Korean style clothing is ready to spread to your wardrobe and is as easy as a click of a button!